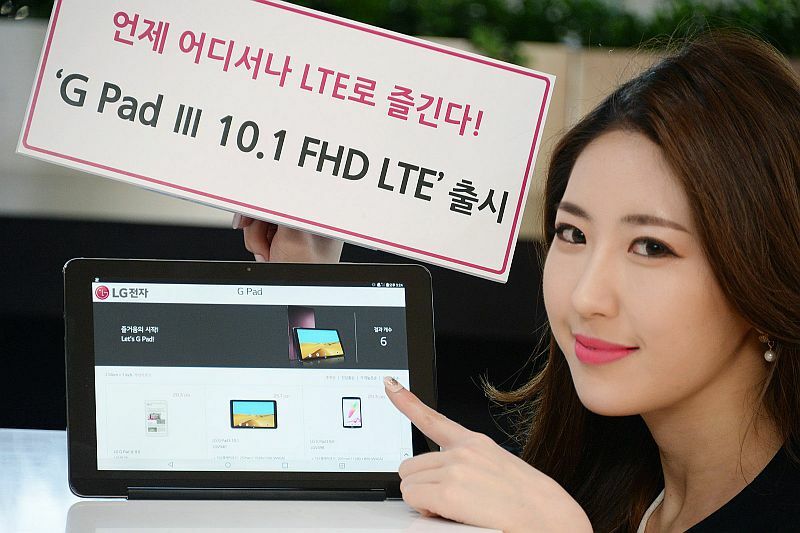 LG propelled G Pad III tablet yesterday (Sunday) in South Korea and the gadget is evaluated at $360 which is KRW 429,000 (generally Rs. 25,000) and NGN 113,207 in Nigeria. At the season of recording this report, the new LG G Pad III 10.1 FHD LTE tablet is presently accessible in the organization's nation of origin - South Korea. The tab includes an inherent Kick Stand and keeps running on Time Square UX, making it feasible for the tablet to be utilized as a work area clock, table top schedule, or advanced casing. LG claims that the Kick Stand underpins collapsing and can change up to 70 degrees which implies it needn't bother with an adornment. In terms of specifications, the LG G Pad III 10.1 FHD LTE sports a 10.1-inch WUXGA (1920x1200 pixels) display and powered by a 1.5GHz octa-core processor. The new device comes with 2GB of RAM as well as with 32GB internal storage which can be increased up to 2TB via microSD card. The tab runs Android 6.0 Marshmallow and supports 4G LTE network as well as SIM support. At the camera department, it sports 5-megapixel cameras both on the front and rear. It supports Wi-Fi 802.11 ac, Bluetooth 4.2, GPS, and USB Type-C connectivity options. It measures 256.2x167.9x7.9mm and weighs 510 grams. It uses a a large 6000mAh capacity non-removable battery. According to LG, it will expand the G Pad III series with a new 10.1-inch tablet model with Stylus support early next year. The new LG tablet comes preloaded with Microsoft suite of apps including Office, Word, and Excel apps among others.